Armies tend to attract brutal men for whom authority is an aphrodisiac. They get their rewards from their own certitudes, they are right and all others are weak, wrong or disloyal. They love rank, pomp, uniforms, power and ceremony. The armed forces of any country in the world will tend to be magnets for these undesirables. They should be spotted at an early stage and weeded out before they can do damage. Since the foundation of the state few if any of the senior officer corps have written memoirs on retirement. 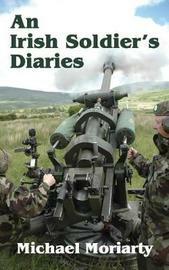 In An Irish officer's Diaries, Michael Moriarty becomes the first officer to change that tradition.From his joining the Ennis Battalion of the FCA in 1949 until his retirement as a Colonel in 1992, Michael Moriarty experienced nearly the full range of domestic and foreign postings that the Irish Army participated in. 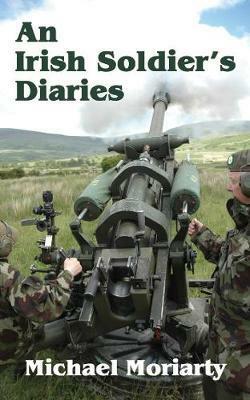 He served in Congo, Cyprus, Angola, and Lebanon as part of Irish contributions to UN missions.In this personal memoir he reveals the struggles to serve in difficult and challenging circumstances, the changes in the army and Irish society during his years of service and the life of a senior officer from the inside. From 1949 until 1992, Michael Moriarty served with the Irish Army. He rose to the rank of Colonel and served in many of the worlds hot spots as part of UN peace Keeping operations. Originally from Listowel, County Kerry, he now lives in Blackrock.